This very lyrical and emotional composition was named after the composer's eldest daughter and was written in its' original solo guitar form in 1995. 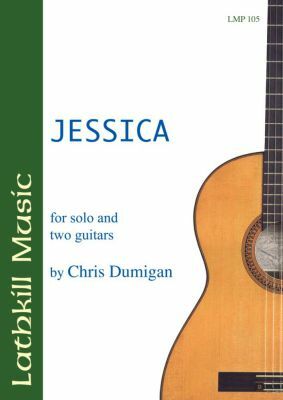 Five years later Chris Dumigan decided to re-write it for guitar duet. Both versions are included in this edition. Shuko Shibata gave the first performance of the solo version in Manchester on 30th April, 1998 whilst the duet version was given its' premiere in Brighton in 2001 by Paul Gregory and Alison Parratt. Separate parts are supplied for both players in the duet version.